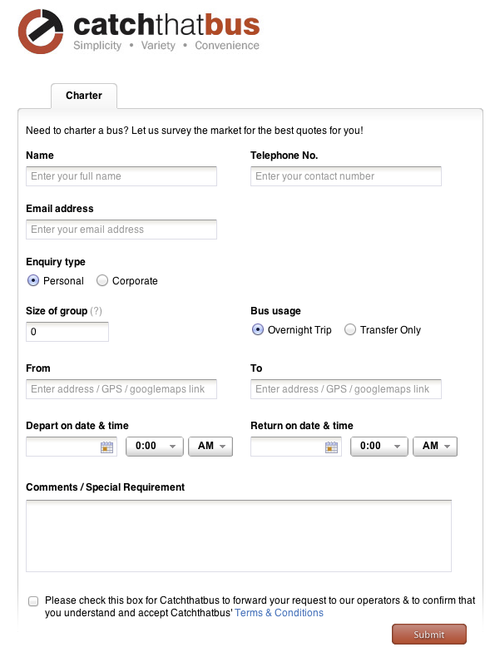 We are finally launching www.catchthatbus.com with our first “product”, the bus charter service. Be it for a company trip or for a personal event, why go through the hassle of flipping through multiple directories. Pricing is transparent, we do not increase the prices like some agents, what you see is what you get. Heck, the entire process is transparent as we provide you with your quotes and let you make the decision! 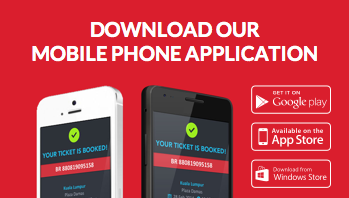 All that is required is to fill up an online form and our sales team handles everything else! Top class information in this site. 3x better than most sites on bus information.